T.H.R.E.E is the new EP from tech-metallers Dividium. Vocalist Neil explains: “It’s definitely the heaviest and most accessible that we’ve ever recorded. We’ve stuck with what we’re good at: catchy choruses and powerful riffs, but this time with added aggression and renewed vigour”. The single Send Nudes opens the EP, contrasting a clean melodic guitar melody with distorted chord sequences to emphasise the track’s build up and sudden drop into a harsher tone. The guitar has a particularly appealing dirty distortion tone and the heavier sections of the track really show this off. Neil’s vocal style echoes the alternating aggressive and more serene atmospheres throughout the track. Ultimately the track is well written and performed but it is lacking something extra. The tech-metal and progressive metal genres allow for some extreme experimentation which is not really presented in this particular track. Would You Kindly differs from the single, diving straight into aggressive instrumentation and dirty guitar tones. The heavy rhythms interspersed with scalic guitar solos create an atmospheric sound, especially as the guitar parts alternate between speakers (the same effect won’t be achieved if using mono speakers). The raw section of the chorus rally reaches the dregs of the bass and guitars. This track displays more experimentation and wildness than the single. Pushing the limits of acceptable low sounds and boarding on just sheer noise is a balancing act that Dividium manage to achieve. Nerfed displays melodic influences through the inclusion of lead guitar riffs and scalic melodies supported by distorted chord sequences. The guitar solo is pretty long in length and uses some effective melodic patterns and styles, and the merging of this style with and the aggressive edge of the track shows the diversity of Dividium. No two tracks on this EP sound alike; all have significantly different influences whilst being held cohesively together through tech metal stylistic links. The Echo Chamber further shows this; harmonised vocals are used in various points throughout the track contrasting aggressive distorted vocals. The harmonization creates a fuller sound; it adds extra depth to the melodic aspects of the track. The sudden change to a piano melody and gentle, clean vocals creates a different sound to the other tracks on the EP. Distorted chord sequences in Body Harvest, including some dissonant chord pairings once again explores other areas of metal styles. The drumming pattern is incredibly fast and energetic. It is interesting to hear the drums in such a prevalent position in a track. Dividium are a competent band, capable of bringing in influences of varying music genres and styles and merging them into their own sound that derives from the tech metal genre. Each track on the EP is unique – the same style is not repeated whilst ensuring their sound prevails. The single Send Nudes seems somewhat vanilla compared to the levels of experimentation present among the other tracks; however, their diversity is refreshing to see in a world where it is becoming progressively harder to create something new and unique. 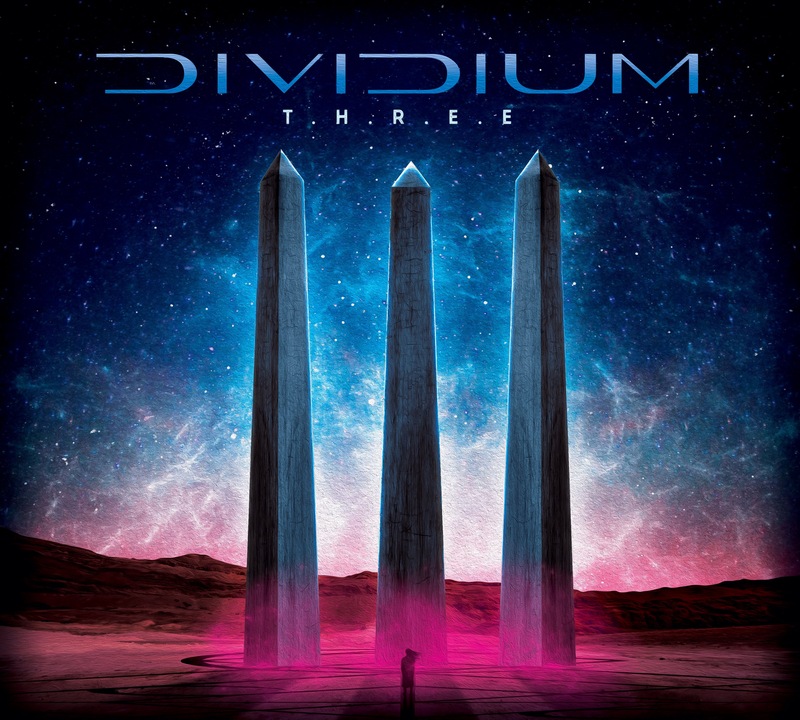 ‘T.H.R.E.E’ by Dividium is released on 1st June.